We all know that gold has been at record highs of late. But silver is also soaring, and it has added an extra challenge to my job as a jewelry designer. We’ve always thought of silver as the affordable precious metal and I’ve hoped all year that the price of silver would stop its steady rise. Although there have been dips here and there, it doesn’t seem to be going down significantly in the near future. Our cost of making each sterling KTC piece has gone up year after year, and our prices have not followed suit. We are trying our best to keep our pieces as affordable as possible and we will maintain the quality of our sterling silver and gold-filled metals in our handmade collection. But you may notice some changes to the collection. For the best savings, sign up for our emails and follow us on twitter and facebook to hear of our latest featured specials. And we always have fabulous costume jewelry that is priced just right and that is not directly affected by the rise in precious metals. 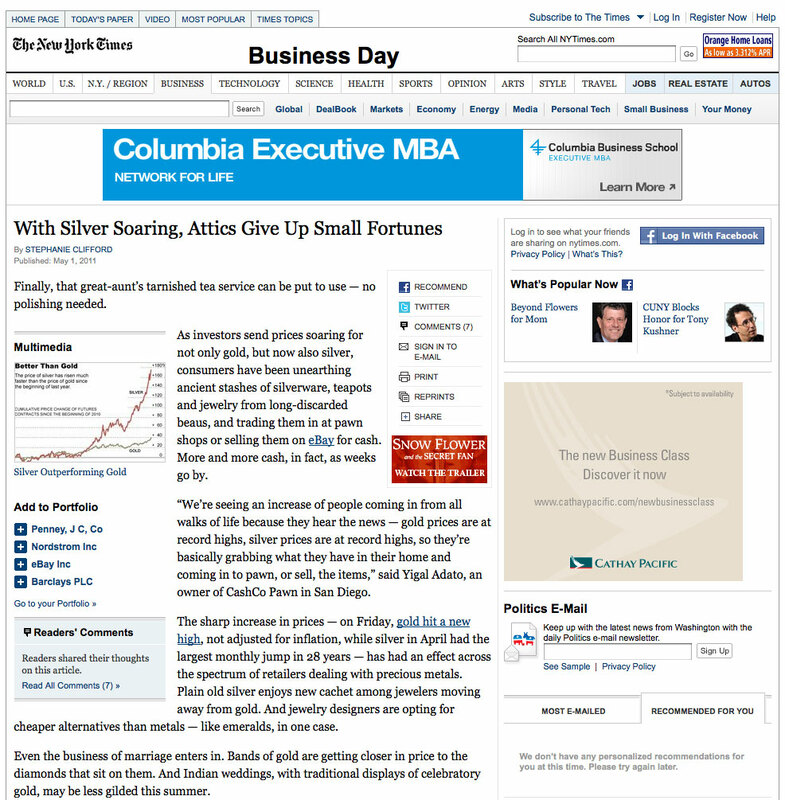 Click here to read the NYT article about silver prices reaching record highs.